I've stumbled upon gold! 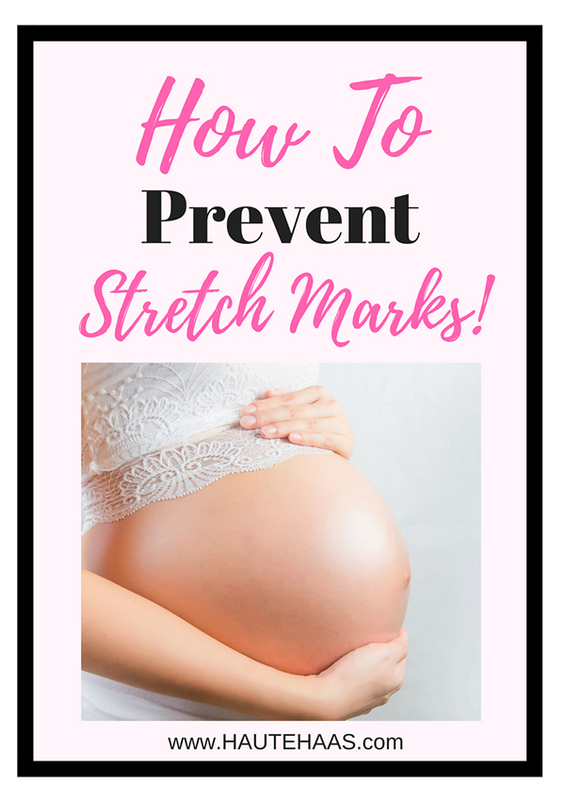 The subject of stretch mark prevention has been reiterated time and time again. 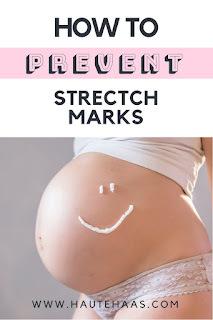 HOWEVER, I have yet to find a comprehensive article on how to actually prevent stretch marks. As someone who is genetically predisposed to acquire these "tiger marks," I endlessly scoured the interweb to no avail. My only hope was to throw the proverbial kitchen sink at my stomach and pray that I would come out unscathed. IT WORKED! I am 7 months in to my second pregnancy and I have zero, zilch, nada, none, no stretch marks on my stomach. I know you might be saying to yourself, "Oh, she is just one of the lucky ones" but this is not the case. My results are a direct result of the actions I took in preventing stretch marks. I know this to be true because I failed to apply the same care to other bits of my body, and these bits suffered a different fate :/. First things first. In order to combat stretch marks, I needed to find out what caused them. Aside from genetics, the major contributing factors were the following: dehydrated skin (directly related to elasticity of skin), accumulation of dead skin cells, scratching/tearing of the skin, rapid increase or decrease in weight gain (directly related to degree of stress placed on the skin), and cortisone levels in the body. EXFOLIATE. While in the shower I used an exfoliating towel ($8.00). This removed the dead skin cells from my abdomen and allowed the new skin cells to regenerate without having to overcome the old. MOISTURIZE. I then used an in shower moisturizer. I alternated between the Nivea In Shower Lotion ($7.99) and the Lush King of Skin Butter Bar ($14). The Lush website states the King of Skin is a 'solid body lotion to make your dry skin softer, smoother, and more flexible.' The bar is made of bananas, avocados, oat milk, and lavender. The bar provided more moisture but I often alternated with the Nivea moisturizer and still managed to receive the results I wanted. LOCK IN MOISTURE. Once I was out of the shower I would lock in the moisture by applying a body oil. 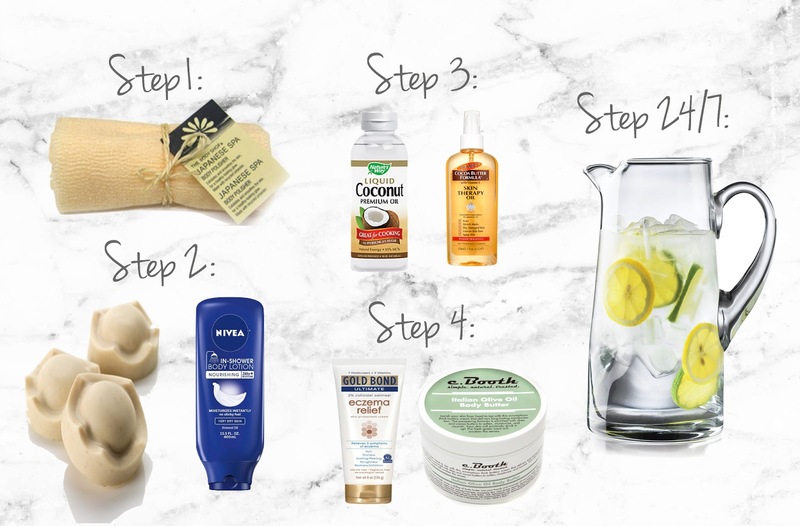 I used a couple but my favorites were Palmers Skin Therapy ($9.99) and natural liquid coconut oil. MOISTURIZE SOME MORE. Before the body oil had dried, I followed up with a heavy body butter laden with vitamin E, and later on in the pregnancy I used a heavy duty eczema cream to help with the itchiness of my stretching skin. I then let all that goodness soak in before putting on clothes or more often than not wore a moisture wicking top that aided in sealing in all that moisture. In order to keep my skin hydrated I drank water ALL. THE. TIME. I also watched what I ate in order to gain pregnancy weight at a steady interval rather than in rapid spurts. Don't get me wrong, I still indulged in ice cream and all sorts of yummy things like churros... mmmmm... churros... I just ate in moderation. Just remember, even though you are eating for two, your little bean is very small and only needs an additional 300 to 500 calories a day. VIOLA! This is how I prevented stretch marks. 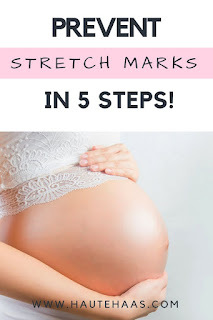 Towards the end of my pregnancy (the last month or so) I applied steps 3 and 4 twice a day, not just after my shower. This helped soothe my itchy skin and it prevented me from scratching and tearing up my skin. I am so excited to share this information with all of you. I hope this helps you on your pregnancy journey. Lord knows there is so much more to worry about, hopefully stretch marks is no longer on your list.